Hello everyone! Hope you had a great weekend! We woke up to a little bit of snow on Saturday. The pups enjoyed playing in it! 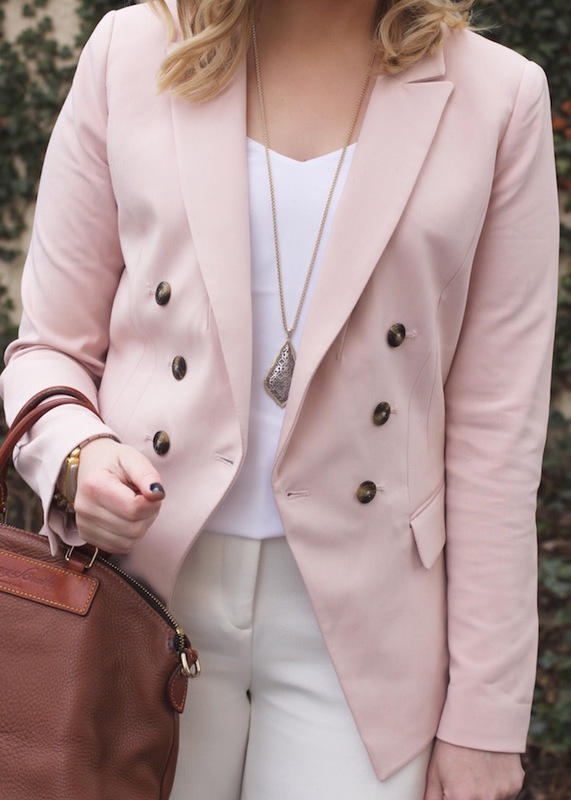 This blush blazer is perfect for spring! I love this blazer so much that I own it in three colors! I think that blazers are a perfect way to make an outfit look more polished! 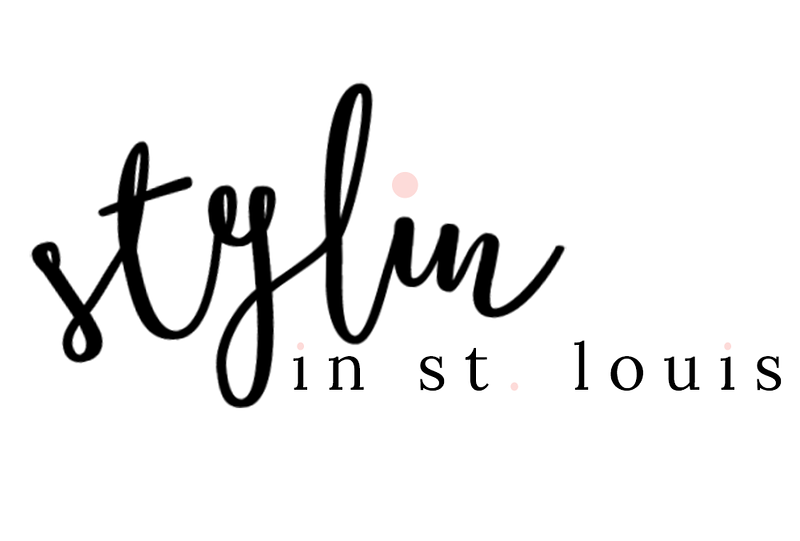 I wear them all the time and they are easy to layer! Also, my white pants are a recent sale find! They are wide leg and super comfy! I purchased them in navy too! Currently, they are and extra 60%! Ann Taylor has so many great deals right now! Be sure to check their sale section! This is a gorgeous blazer, love this look. SO pretty and polished! I would so get those pants if they had my size! This color is always just so pretty and feminine! Love this outfit! So pretty. I have a blush blazer that I love and I'm on the lookout for white pants. i love your white pants, perfect with pink and for the Spring. Great look! I love this classic outfit! The blazer is gorgeous! That blazer is fabulous!! I am all about blush right now! You look SO chic here, lady- those trousers and blazer fit you like a dream! Such a gorgeous look! 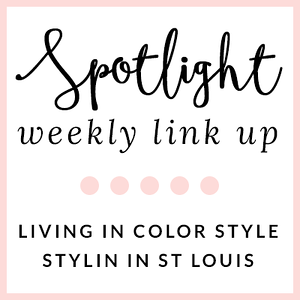 Love blazers and their versatility and especially love the blush color of yours! Those white trousers are so sophisticated. I love the blush blazer as well, perfectly polished look. You definitely look like a #girlboss in this outfit, Jacqueline!! LOVE this look, it's so feminine and cute with the blush blazer! I would totally wear this to work! :) Just need to look for a pair of wide white trousers!